While out shopping last Saturday, I found this wonderful baking tin complete with a recipe inside the packaging. I greased up the tin and whizzed up the ingredients and poured the mix into a jug. Then into the oven for about 15 mins. Yummy! The days are getting shorter, and the leaves are turning, it's my favourite time of year come round again. Time to wrap up warm, with hats and mittens and cycle in the crisp morning air to college. I've been busy working on my thesis. The First Chapter Draft has been approved, now for the next one! 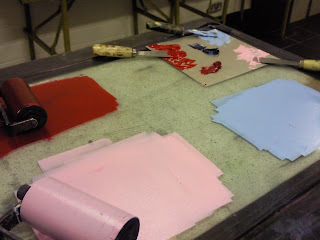 I'll have more posts for my own blog soon! For the last two weeks, a new obsession has taken hold of me. I'm in love with the workings of Stephenie Meyer. The Twilight books are so good, I read the first two very fast and am half way through the third. I haven't been this excited about books since the Eragon books, and before that the Harry Potter series. up a schedule detailing the dates of completion for various components of the project. 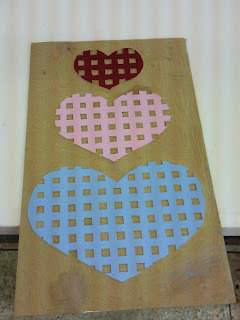 On Wednesday, I finally completed Margie's Christmas present. 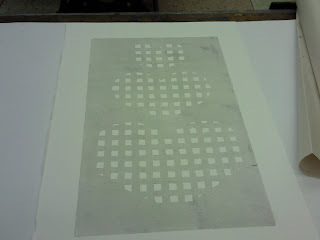 I'll give it to her next weekend as I have to wait for the ink to dry. 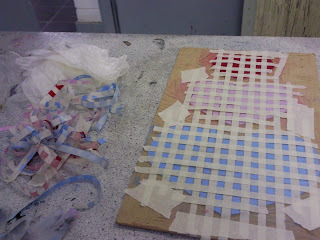 Here's the rest of the photos of the work! This Christmas, the cats were delighted with their presents that Santa left in their special cat stockings. Here's White Fella excited about his ball. He also spent a lot of time under the Christmas Tree, he thought Santa had left the tree for him too! 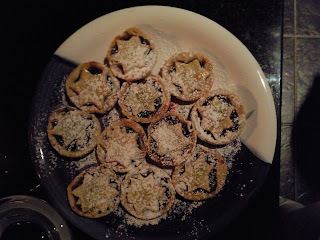 I'm always surprised how much I like mince pies. 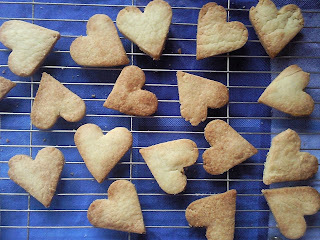 This year, I tried a new recipe from Rachel Allen. It worked quite well and the pies were delicious. Gone in 5 mins! 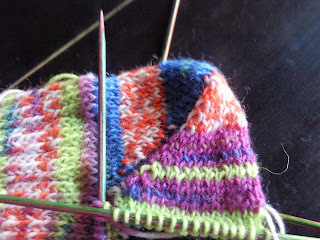 This is the completed first sock, it was great watching the pattern appear while knitting! The completed socks modelled by Margie. 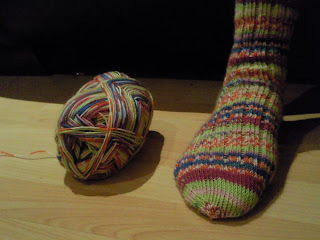 I had to cut a length of yarn so that the pattern would match up on both socks. Yay! The student Union in college organised a Christmas Fair. 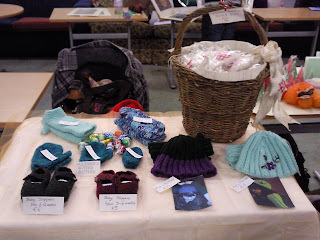 I signed up for a table and spread out some of my knitting. 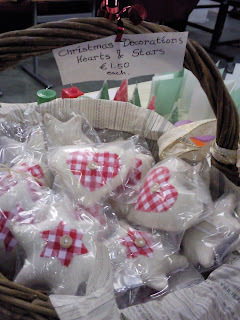 I also sold some little stars and hearts (Christmas decorations). I kept them in a willow basket, handmade by my Mam, Margie. Margie took photos of me posing in the hat and gloves so that people could see what they looked like on. 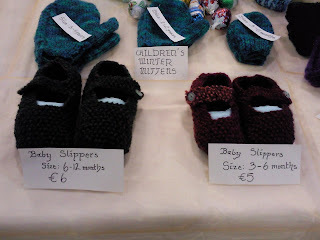 It was a great success, everyone especially loved the little baby slippers! 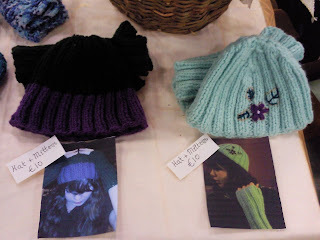 I must dig out the pattern again out of one of the knitting books and knit some more. Thanks to Margie for sewing on the buttons and for all her help last night.